What is WinRAR self-extracting archive? For example, you want to give an archive file to your friend. But you are not sure that your friend has WinRAR or alternative utility to open the archive. 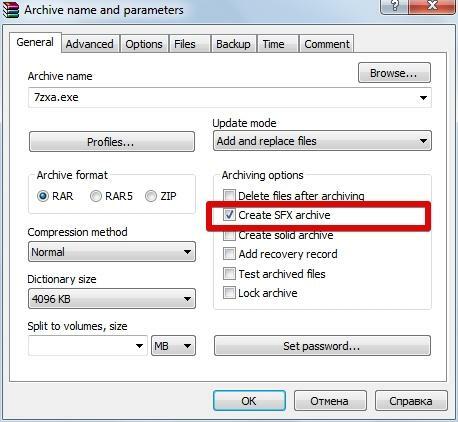 To resolve this issue, you can create the self-extracting archive (SFX), using WinRAR. Self-extracting archives have EXE extension. And you don't need to use archivers if you want to extract files from it. If you want to create such archive, you should run the WinRAR manager and select your files. Then push on the Add button and enter a name for your archive. Check Create SFX archive and press OK.